Major parts of the U.S. government will remain shuttered for a 12th day as President Donald Trump invited congressional leaders from both parties to a White House briefing Jan. 2 on border security. It would be the first face-to-face meeting between Trump and the leadership of the House and Senate since the shutdown began and the first potential opening for negotiations to end it. Democrats are set to take control of the House on Jan. 3 and vote on a plan to end the shutdown without including money for building a border wall, a challenge to Trump and to the Republican-controlled Senate. After seeming to dig in on his demands for $5 billion in funding for a wall on the U.S.-Mexico border, Trump shifted Jan. 1 to talking about making a deal with House Democratic leader Nancy Pelosi, who’s poised to be elected House speaker later this week. “Border Security and the Wall “thing” and Shutdown is not where Nancy Pelosi wanted to start her tenure as Speaker! Let’s make a deal?” the president said on Twitter. Pelosi said in a statement that with the legislation that Democrats plan to pass on Jan. 3, “We are giving the Republicans the opportunity to take yes for an answer.” She said the GOP-controlled Senate had previously supported similar legislation. A spokesman for Senate Majority Leader Mitch McConnell, Don Stewart, said Dec. 31 that the chamber won’t take up legislation that the president won’t sign, leaving it up to Trump and Democrats to come to terms. The Senate and House weren’t in session on New Year’s Day. Both chambers will hold pro forma sessions Jan. 2, with no votes planned. Smithsonian Institution museums and the National Zoo in Washington are set to close Jan. 3 for lack of funds. Many national parks were without most staff, resulting in some facilities being overwhelmed with trash and subject to damage, the Associated Press reported. Without a breakthrough, the Federal Communications Commission will suspend most operations Jan. 3, no longer taking consumer complaints and halting review of proposed mergers such as wireless provider T-Mobile US Inc.’s $26.5 billion bid for Sprint Corp. The American Federation of Government Employees said it sued the government Dec. 31 on behalf of more than 400,000 federal employees who are having to work without pay. The federal judiciary remains open and can continue to operate fully through Jan. 11 by using funding not dependent on new appropriations. The 115th Congress ends Jan. 4, when the session beginning at noon marks the start of the 116th. 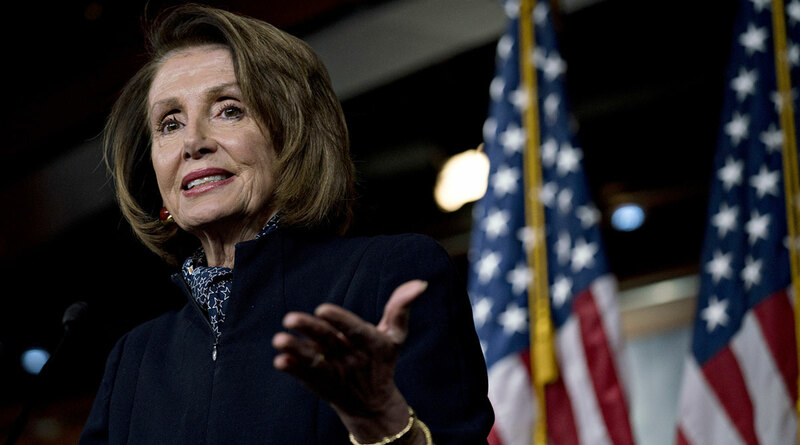 Pelosi is expected to secure enough Democratic votes to become speaker for a second time. House Democrats plan to pass two separate bills, one reopening eight departments — which have been closed since Dec. 22 — through September 2019 and another temporarily reopening the Department of Homeland Security through Feb. 8. That would allow negotiations over Trump’s request for border wall money to continue while the rest of the government would continue operating. If the shutdown standoff continues, all workers in the departments and agencies affected by the closing will miss their next paycheck on Jan. 11. The shutdown, which began Dec. 22, affects nine of the 15 federal departments, dozens of agencies, and hundreds of thousands of workers. Among the departments without funding are: Justice, Homeland Security, Interior and Treasury. Independent agencies, including the Securities and Exchange Commission, are also affected. The departments whose funding lapsed represent about a quarter of the $1.24 trillion in government discretionary spending for fiscal year 2019. An estimated 400,000 federal employees are working without pay and 350,000 are furloughed, according to a congressional Democratic aide. Federal employees working without pay and those now furloughed got their Dec. 28 paychecks under a decision by the White House budget office because pay reflects work before Dec. 21. The remaining parts of the government, including the Defense Department and the Departments of Labor and Health and Human Services, were already funded and won’t be affected by the shutdown, nor will mandatory entitlement programs such as Medicare payments.